The new music video for “Do You Remember Me?”, directed by Stian Andersen, premiered on VGTV today. The black-and-white video was shot during Morten’s solo tour this summer and includes footage from the concerts at Over Oslo Festivalen, Paris, London, Stavernfestivalen and Odderøya Live in June and July. VG also has an interview with Morten, who turns 55 years old today. Update: the video has now been added to YouTube by a-ha.com. 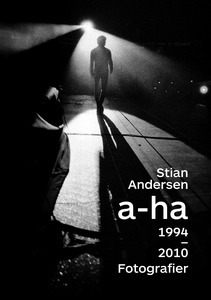 Stian Andersen’s exhibition of a-ha photos opened at the Strand Gallery in London last night. 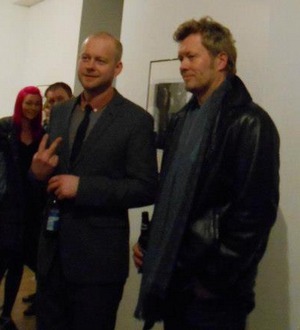 In addition to Stian himself, Magne also made an appearance. Music was provided by harpist Erin Hill, who had come over from New York. 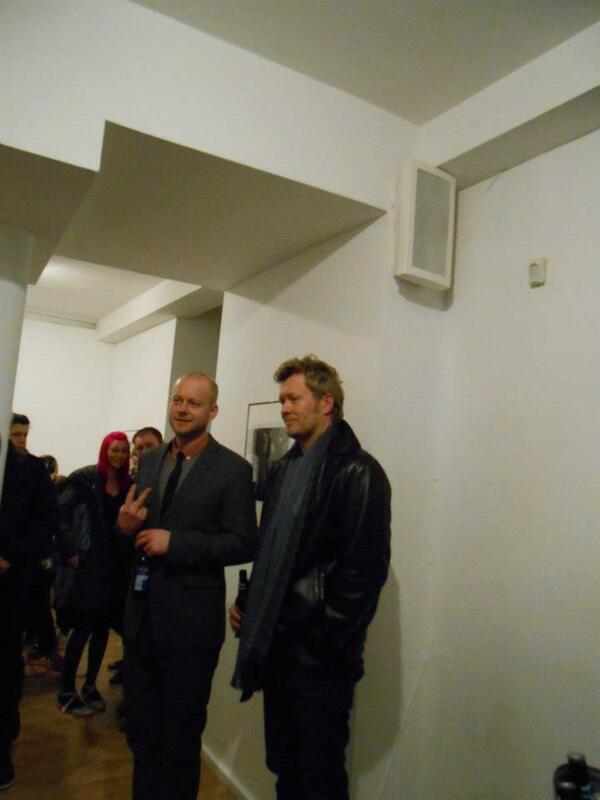 A gallery of photos from the opening can be seen at Strand Gallery’s Facebook page, and the UK edition of Huffington Post has an interview with Magne about Stian’s photos. “They’ve revealed a feeling of unity that you don’t really think about in terms of the band, and that was a positive feeling that came out of it… I wrote in the preface to the book that I think it’s captured something we all felt was like being there, it had that authenticity, feeling of recognition. It takes a lot for us to agree on anything, and we all really liked the outcome of his work”, Magne says. The exhibition at the Strand Gallery is open until March 17th. 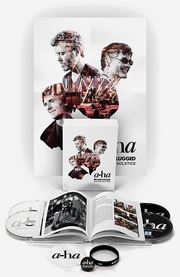 And if you haven’t already, check out a mini-documentary about the photo book project on Vimeo and a new interview with Stian on a-ha.com. 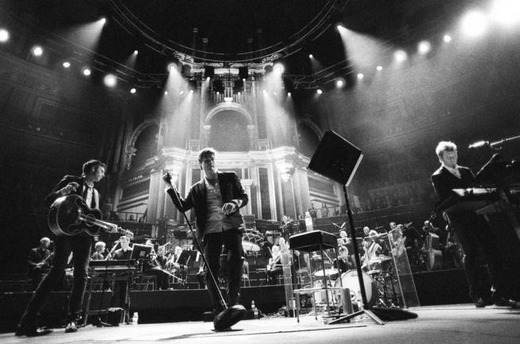 Royal Albert Hall 2010. Photo by Stian Andersen. 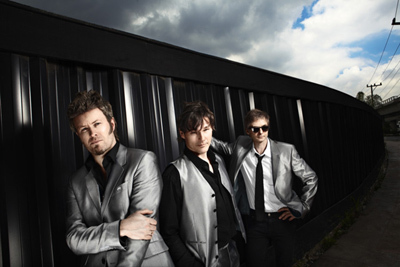 An exhibition of a-ha photos taken by Stian Andersen will be held at the Strand Gallery in London from 28 February – 17 March 2013. The exhibition, which is sponsored by the Norwegian Embassy, will include a larger collection of photos than what could recently be seen at Stolper + Friends in Oslo. There will be an opening party on 27 February, with Andersen present. “Andersen went to the UK and London five times (to different venues such as The Royal Albert Hall, O2 Arena, Heaven and Wembley Arena) to capture six UK a-ha concerts. In this collection – brought to the UK for the first time and based on Andersen’s book a-ha Photographs 1994-2010 – see loyal fans clutching banners, arenas packed with chanting fans and the band performing in the spotlight”, the gallery said in a press release. The same exhibition will later be shown in Tokyo, Japan, in October 2013. To coincide with the upcoming release of Stian Andersen’s a-ha photo book, there will be a sales exhibition of some of his photos at the Stolper + Friends gallery in Oslo, opening this Thursday, August 30th. “Stolper + Friends is pleased to announce an exhibition of photographs by acclaimed music photographer Stian Andersen. The photographs, documenting both intimate and iconic moments during the last 3 a-ha tours, are taken with analogue film camera – apparent in the grainy, atmospheric quality of the images. The large photos are available for purchase, each in a limited edition of 5 copies. The exhibition will be open until September 16th, giving those who are going to Oslo for the 30th Anniversary weekend next month a chance to see it as well. The pre-sale of the limited edition photo book ends on Saturday, September 1st. Unfortunately, it hasn’t been possible to order the book for several days now, due to technical problems with PayPal. The book is not sold out yet, so hopefully the problems will be fixed soon. Update: the PayPal problems have now been solved, and the pre-sale is working again! In addition to 200 photos, the book includes a foreword by Magne and an interview with the guys, done by music journalist Morten Ståle Nilsen. 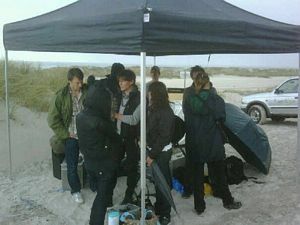 Update 2: Additional interviews with Stian, in Norwegian, have now been published at foto.no and nrk.no. 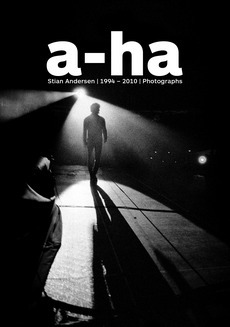 Photographer Stian Andersen‘s photo book about a-ha, which has been many years in the making, will finally be published in September 2012. The front cover of the book, which is called a-ha 1994 – 2010 Fotografier, has now been posted on the website of Forlaget Press, along with some info about the project. “I have never spent so much time on a project before. 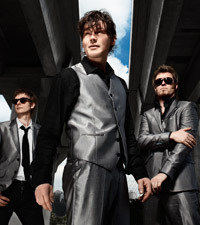 Making a photo book about a-ha is different than making a photo book about Turbonegro, for example. It’s more closed, there’s more history involved, the backstage area is more protected. While I’ve been working, I have never seen any other photographers or press backstage”, Andersen says. The book will be published in mid-September, priced at 599 Kroner ($99). There will also be an exhibition of some of Andersen’s a-ha photos at the Stolper+Friends gallery in September. Update: Catherine at a-ha.com has followed up with some info about the English version of the book, which seems to have a slightly different cover. Update II: It seems the Norwegian version of the book has been cancelled, so it will only be available in English – as a limited edition. The book can be pre-ordered now from forlagetpress.no. 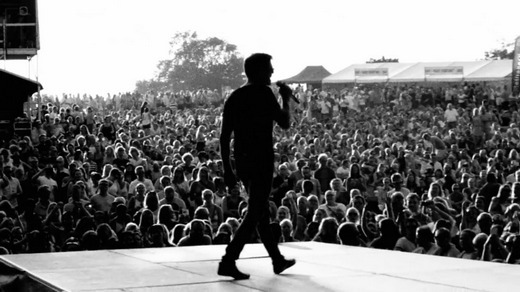 The Norwegian photographer Stian Andersen has been working with a-ha since 2000. 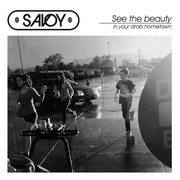 He’s taken the pictures that appear on the covers of the Analogue-album and the “Foot Of The Mountain”-single, for example. Visit Stian Andersen’s website here.